An Owner//Driver reader will soon embark on his own Australian adventure after winning the Great Aussie Escape competition. Ron Kenny from Victoria has won a dual cab Toyota Hilux, aluminium motor boat and a camper trailer for subscribing to ATN sister publication, Owner//Driver. ACP Magazines (publisher of ATN and Owner//Driver) is still waiting to hear back from Ron after mailing him about the news because he did not leave his phone or email details when entering the competition. 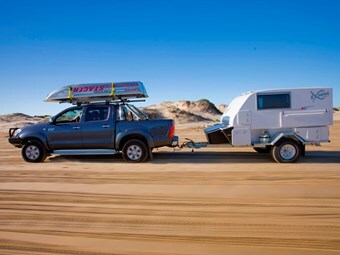 The Great Aussie Escape ran from March to September and gave one reader the chance to walk away with a Hilux worth $55,000, a camper trailer valued at $36,500 and a $7700 boat fitted with an 8hp two-stroke motor. Extras were also thrown in, bringing the total prize to more than $100,000. The competition was open to subscribers of a range of ACP titles, including Supply Chain Review QBR, Australian Bus & Coach, FHM and Deals on Wheels.